FOXBusiness.com’s Kate Rogers with Jeremy Smith, SpotHero co-founder, on the company’s latest round of funding and expansion plans for the future. After racking up more than $5,000 in parking tickets in his hometown of Chicago, Jeremy Smith knew there had to be a better way to park. The co-founder and COO of SpotHero channeled his frustration and debt into a mobile app that helps users find available parking deals in garages within their area. SpotHero, co-founded by Smith and Mark Lawrence, CEO, is now in seven cities including New York, Washington, D.C., Baltimore and Chicago, where it all began. Smith says it can save users between 20% and 30% off standard parking rates, thanks to the company’s partnerships. The app is available on Android and iOS, and users need only put in credit card information to start reserving spots for blocks of time. They can even view what their spot will look like, and pay in a few clicks. The startup is headquartered in Chicago, and has grown from five employees in 2011, to 25 today. It recently scored a Series A round of funding from Chicago Ventures, Battery Ventures, Pritzker Group Venture Capital and more. Since raising $2.5 million in 2011, they have grown more than 600%, and Smith says the company is sending parking garages as much as $500,000 per year in incremental revenue. 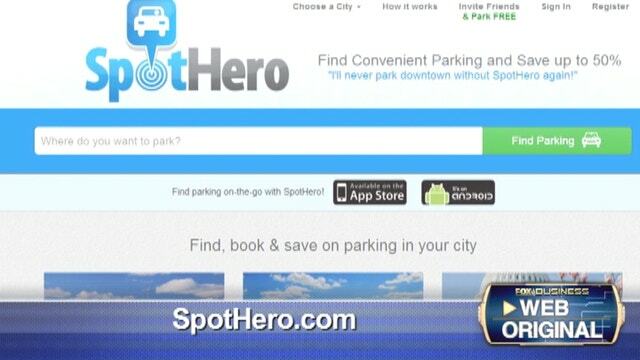 Smith says SpotHero currently sees 1,000 users downloading the app per day. The company’s biggest hurdle to growth today is figuring out where to expand next, he says. “There are so many cities, companies and partners—we want to light up all these cities at the right time,” he says. As for the sharing economy, of which there’s been a ton of criticism and praise thanks to disruptive companies like Uber and Lyft, Smith says it’s here to stay.